Traveling the world is everyone’s dream. Coming to one and more of the top ten most beautiful places in the world is definitely to have the most ultimate dream. Whitehaven Beach is not ordinary white sandy beach. It’s an exquisite beach that stretches 7 km along the Whitsunday Island in Australia. As a part of the Great Barrier Reef, it offers not only beautiful beach views but abundant aquatic species. Come to Hawaii and experience one of the most luxurious and magnificent resorts in Westin Maui. This place has impressive scenery, fantastic pools and waterfalls, friendly service and of course the gorgeous stretch of white sandy beach Ka’anapali beach. The Isle of Skye holds one of the world’s most beautiful natural pools known as Fairy Fools. The pools are a part of Cuillins Hills. 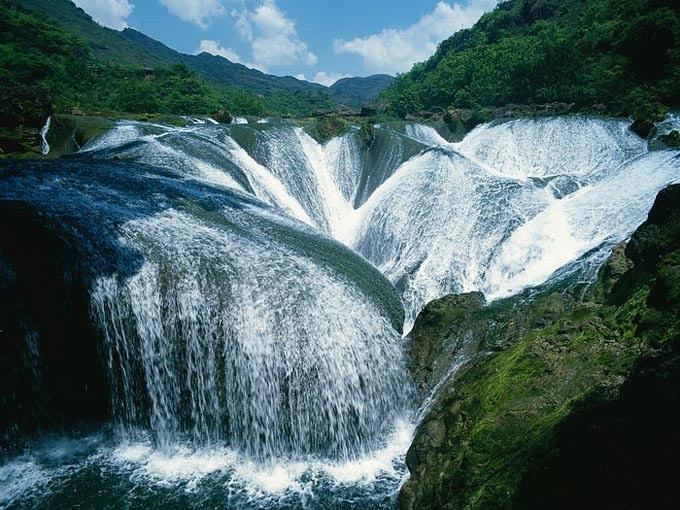 In this location, you’ll get to enjoy series of cold, clear pools and the gorgeous natural waterfalls. In Patagonia, Chile, you will find the gorgeous Marble Caverns which is a natural wonder that can even be said as the most beautiful cave network in the world. Created by nature, this cave network is filled with marble caverns. It may not be a natural wonder but Shahara Bridge is definitely a d beautiful place to visit. Constructed back in the 17th century, this bridge has been connecting the towns located at the mountain tops in Yemen. A paradise on earth is found in Havasu Falls. This gorgeous waterfall is remotely located deep in Arizona. It’s not only the place for spectacular waterfall but also isolated community of Indian people known as Havasupai. Spelling the name of this place is difficult but its natural beauty is definitely one of a kind. This is a natural canyon with 2 km long and 100 m deep located not far from Ring Road. Created by progressive erosion from the glacier’s flowing water, this canyon holds breathtaking beauty. In Neelum Valley, Kashmir, a blush green village known as Arang Kel is located. Ascending 1500 feet from the Neelam River, this village is filled with breathtaking sceneries. Beech trees with almost two hundreds of age are the natural phenomena to enjoy in this place. Its compelling landscape feature has attracted millions of visitors every year. The getaway resort and beautiful natural site in Marsa Matruh has been attracting the rich Europeans. In this place, you can enjoy calm transparent waters and white soft sands.